Cisco continues to dominate the enterprise wireless local area network (WLAN) market across the world, driving growth through a cloud-managed Meraki portfolio. According to IDC findings, the vendor’s enterprise revenue increased 9.2 per cent year-over-year during the first quarter of 2018, creating a global market share of 44.9 per cent in the process. Up from the 43.4 per cent recorded during the fourth quarter of 2017, the analyst firm cited the Meraki portfolio as a primary driver of growth, spanning wireless, security and switching. 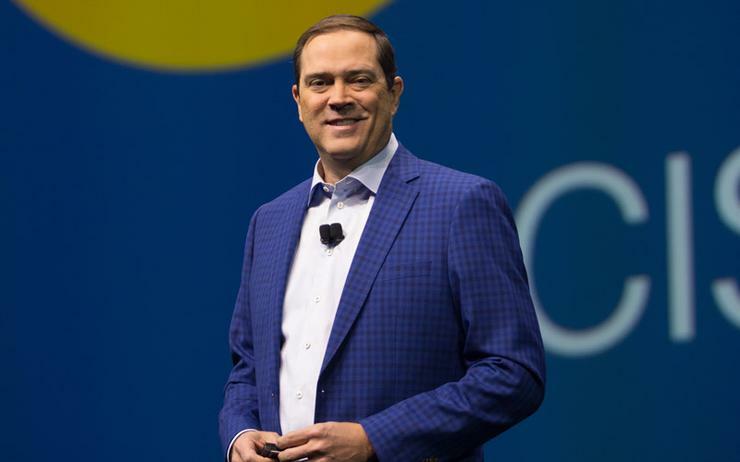 Cisco’s closest competitor remains Hewlett Packard Enterprise and Aruba Networks, who suffered a revenue decrease of 18.3 per cent during the first quarter, resulting in an overall market share of 12.6 per cent - down from 16.2 per cent the year previously. Meanwhile, the combined entity of ARRIS and Ruckus Wireless performed encouragingly during the first quarter, growing 40.4 per cent year-over-year and 10.4 per cent sequentially. 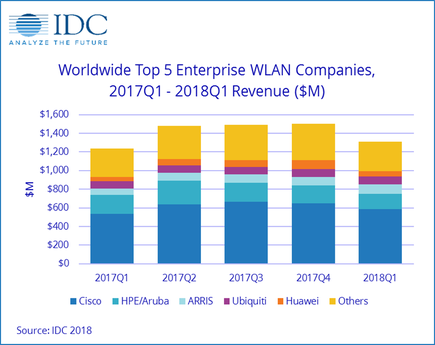 As a result, both parties now account for 7.6 per cent of the enterprise WLAN market, representing its highest share since the first quarter of 2016. 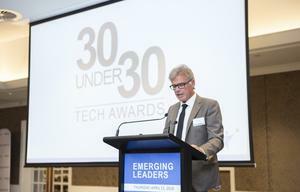 Further down the list, Ubiquiti recorded another quarter of strong growth, increasing 13.9 per cent year-over-year to now account for 6.6 per cent of the enterprise market, up from 6.1 per cent. Rounding out the top five, Huawei also experienced very strong growth during the quarter, increasing 18.7 per cent during the same period as last year, while claiming 4.1 per cent market share. The vendor standings come amid enterprise segment growth of 5.5 per cent year-over-year during the first quarter, resulting in global revenues in excess of US$1.31 billion. According to IDC, enterprise WLAN growth held steady after posting a 5.7 per cent growth rate for the full year 2017. “Demand for network refreshes, digital transformation (DX) initiatives, and the new ways businesses are engaging with customers via wireless networks are positive indicators for continued growth in 2018,” IDC senior research analyst, Brandon Butler, said. From a technology perspective, the 802.11ac standard now accounts for 83.2 per cent of dependent access point unit shipments in the enterprise segment and 95.1 per cent of dependent access point revenues. According to Butler, this marks 802.11n becoming obsolete in the enterprise and paves the way for the 802.11ax standard coming later this year and ramping up significantly next year. “There continues to be diverging trends in the enterprise and consumer WLAN markets,” Butler added. Geographically speaking, the enterprise WLAN market saw its strongest first quarter growth coming from the Asia Pacific region, which grew 15.9 per cent year-over-year, driven by China and India. “While WLAN is a fairly mature market in the U.S., there are still opportunities for significant growth in other parts of the world, which is expected to help fuel growth in the broader market throughout the coming year,” IDC research manager of worldwide networking, Petr Jirovsky, said. What makes a leading next-gen telco service provider in APAC?